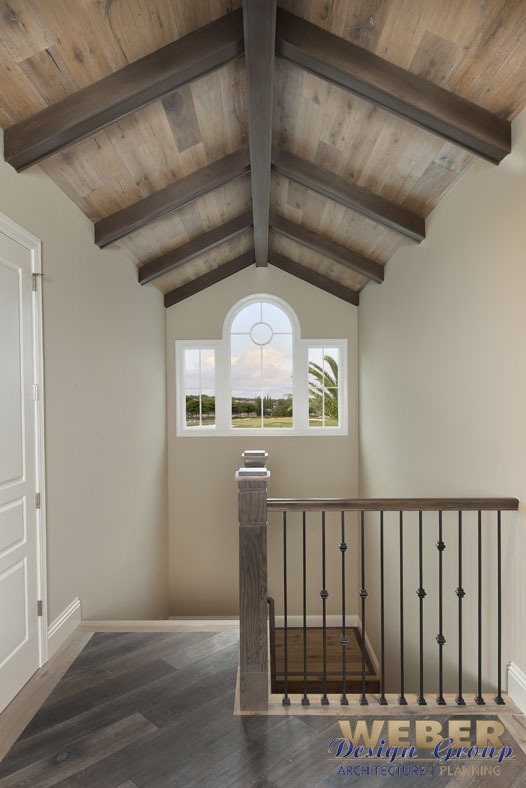 The luxurious Marquesas house plan features a transitional coastal style exterior that blends clean contemporary lines with softer island-inspired elements such as shutters and overhang brackets. 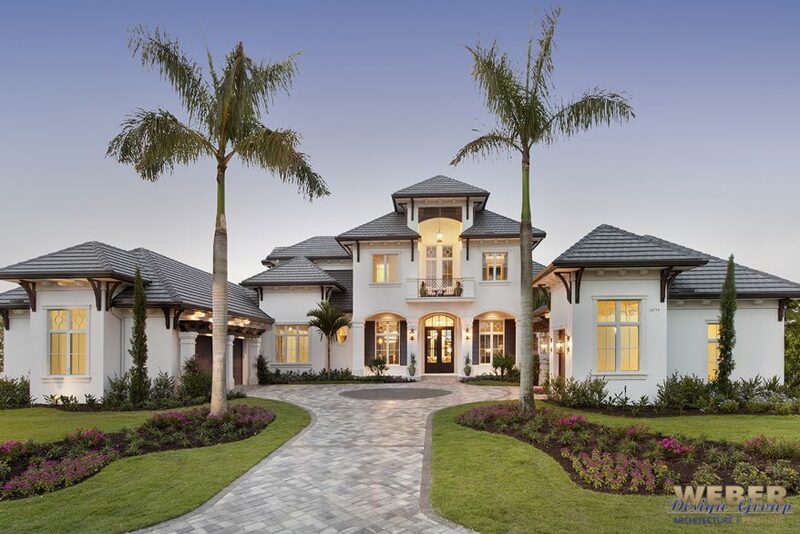 The front elevation of this Caribbean dream home offers dimension through varying flat tile rooflines and a raised front entry overlooked by a second-floor balcony. 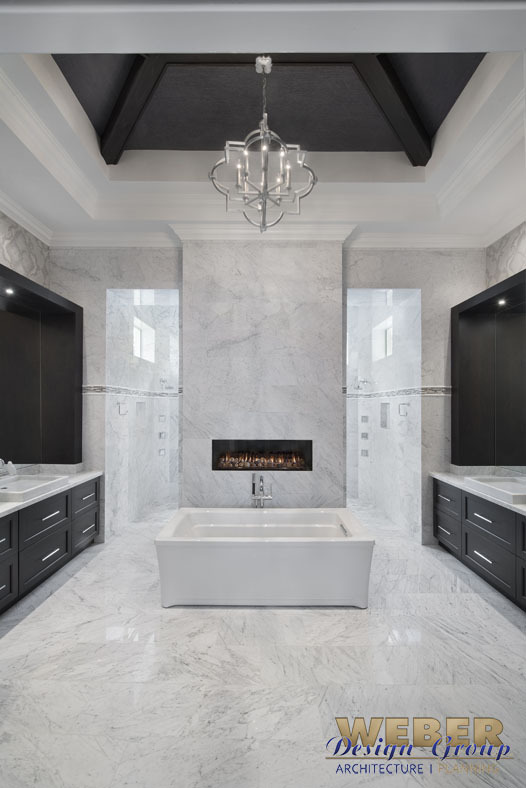 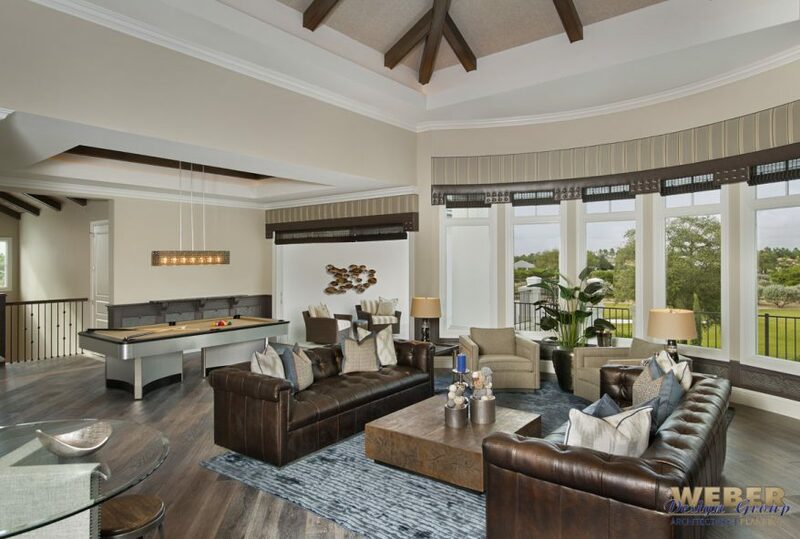 This unique design was featured as Golf Magazine’s 2015 Golf Dream House where it was aptly described as “ideal abode, marrying luxurious comfort and amenities”. 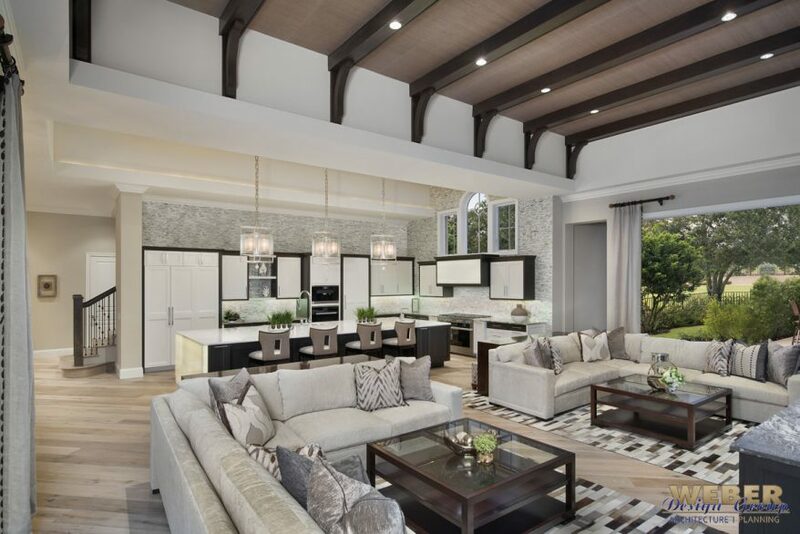 The two-story home plan has 4 bedrooms and a den, 4 and a 1/2 baths, a 3-car garage and a designated garage for golf cart storage. 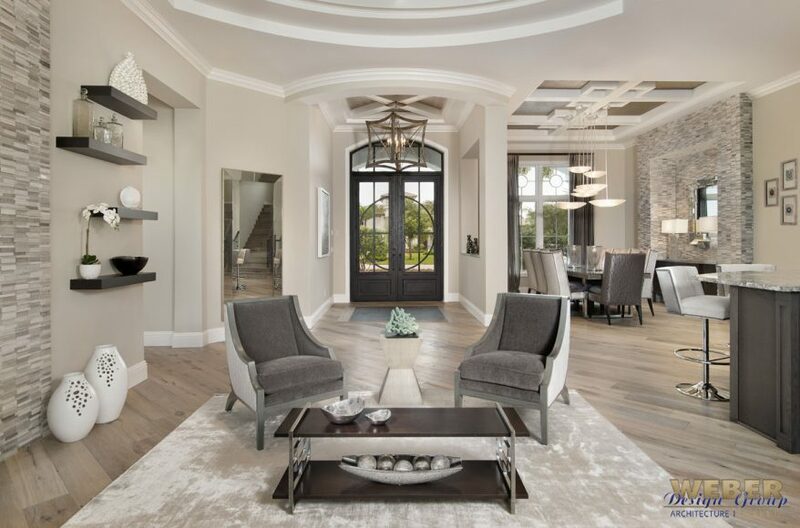 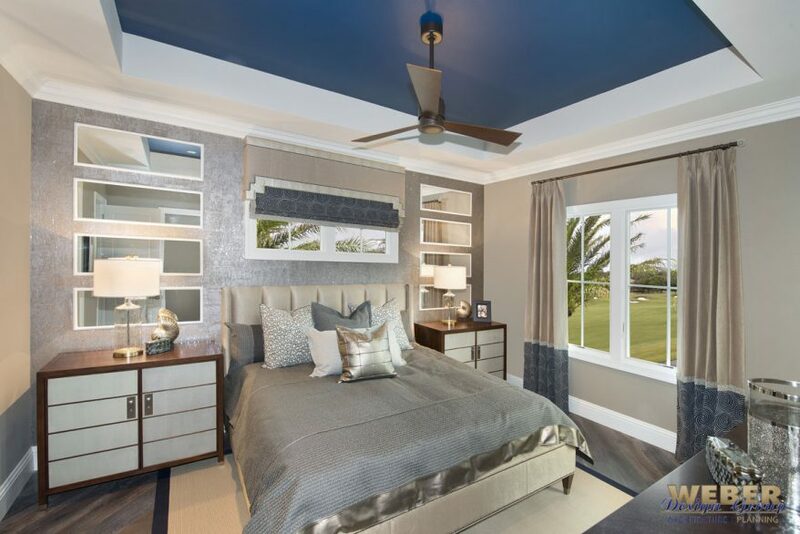 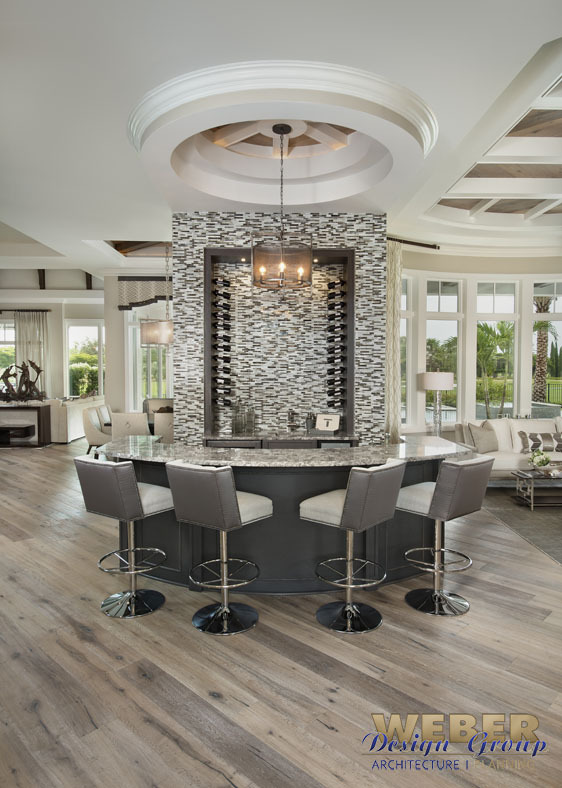 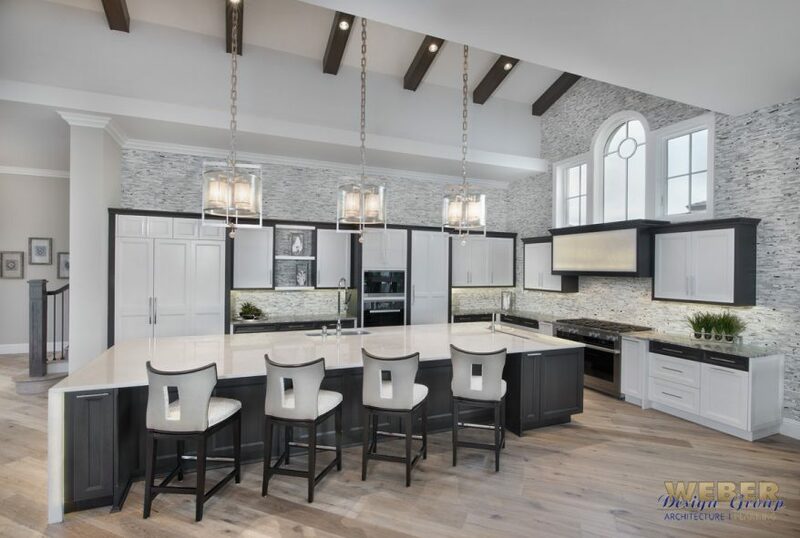 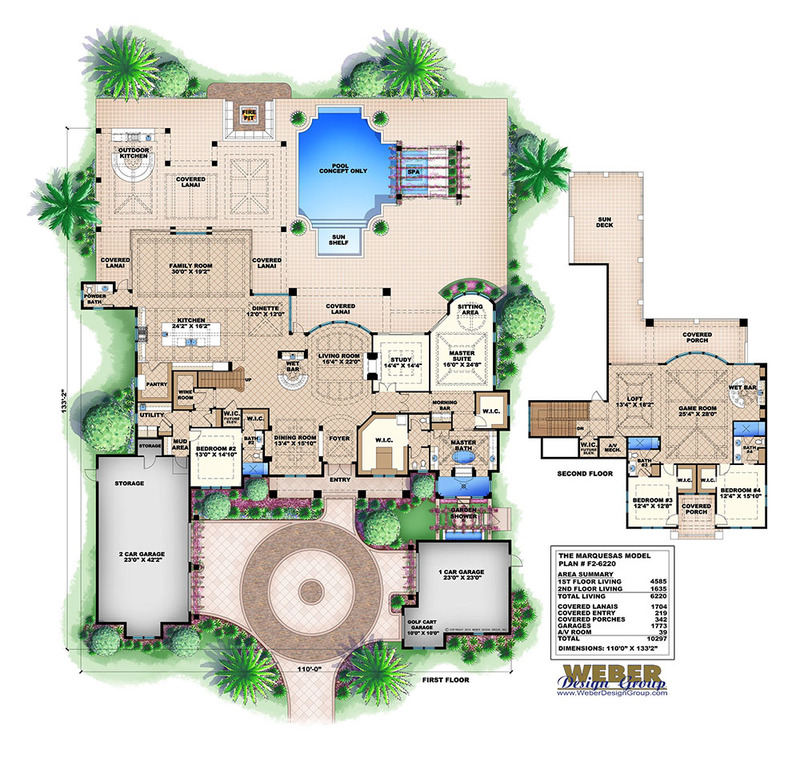 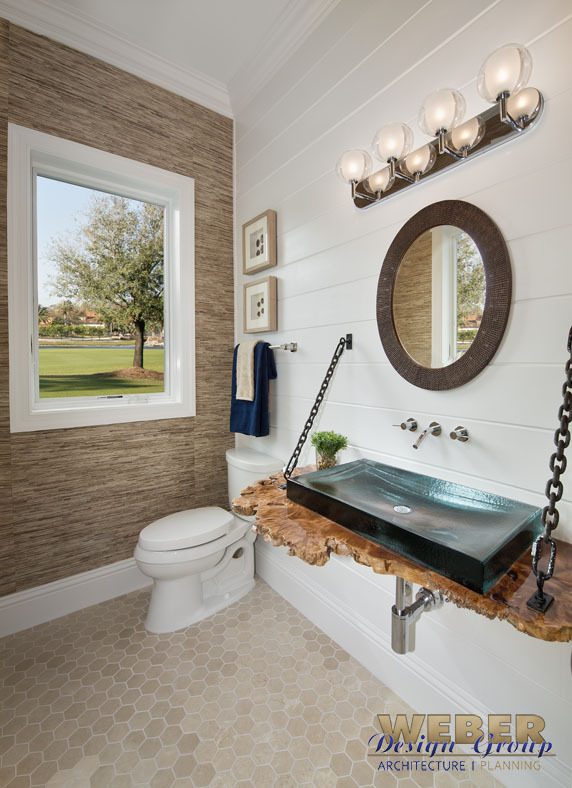 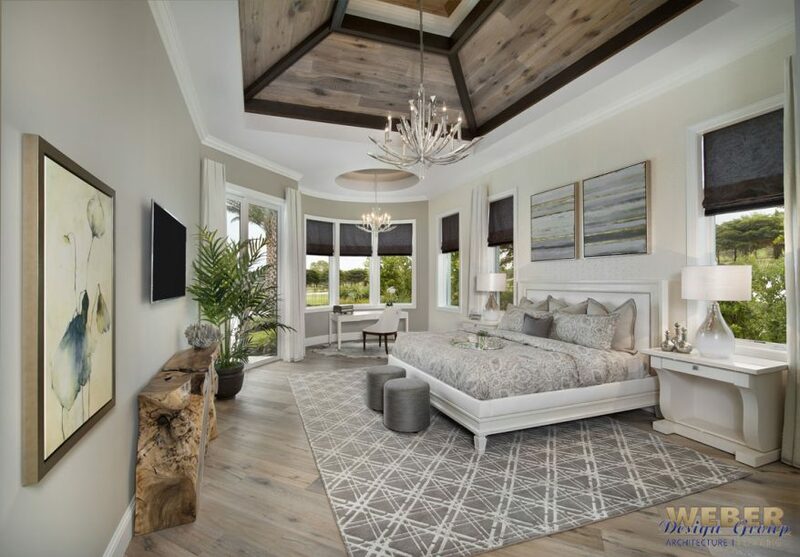 The open design concept of the floor plan also includes luxury amenities like two built-in radial wet bars, game room, and den, gourmet island kitchen, wine room, study and intricate volume ceilings throughout. 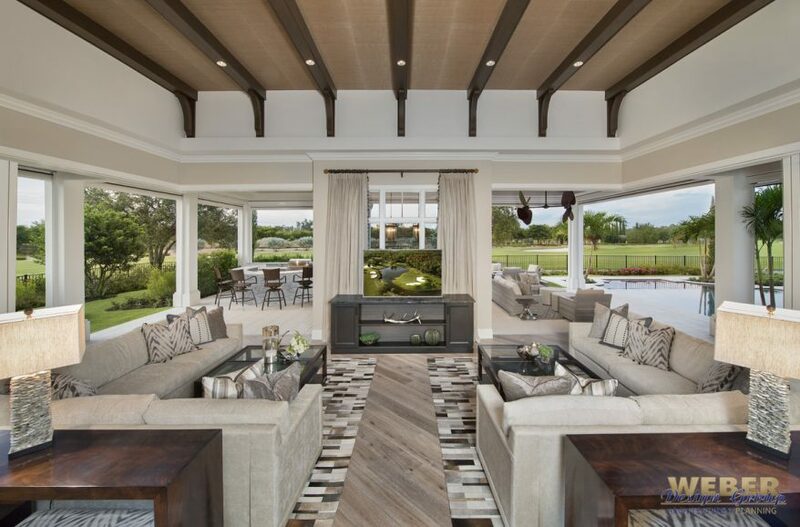 The casual living areas of the home were designed with over 50-feet of sliding glass doors that allow for a seamless flow between outdoor living areas, swimming pool, kitchen, dinette, and family room – perfect for entertaining any number of guests all year long while offering 180° of a scenic golf course, waterfront or beach home view. 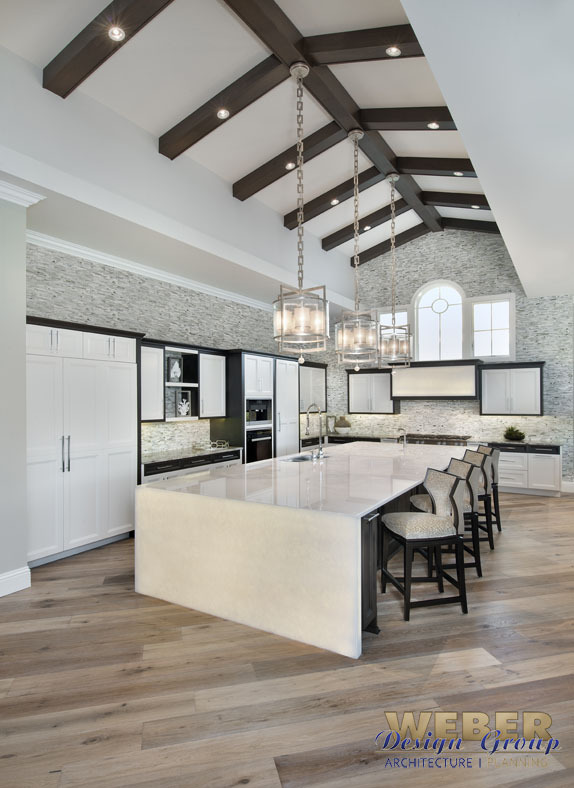 Ceiling Height: 12' - 12' 8"
Ceiling Height: 12' - 13' 4"
Ceiling Height: 12' 8" - 13' 4"
Ceiling Height: 12' - 15' 8"